The Health Care Cost Institute’s (HCCI) new Healthy Marketplace Index reveals wide disparities in health care prices across the country. The analysis evaluated 1.78 billion commercial claims in 112 metro areas across the United States to compare the average prices paid for specific health care services. The commercial claims evaluated were from 2012-2016. In Washington State, the analysis evaluated both the Seattle area (including Tacoma and Bellevue) and Spokane-Spokane Valley. 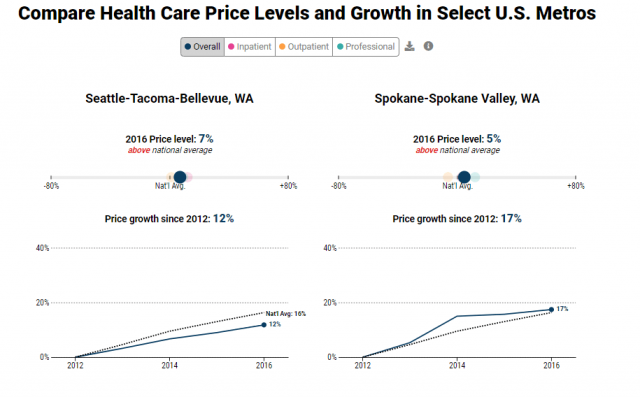 For 2016, Seattle area health care prices were seven percent above the national average, ranking the area 14th out of 112. Spokane’s health care prices were slightly lower than Seattle’s at five percent above the national average, ranking the area 18th. HCCI notes that the national average is inflated due to a few outliers such as Anchorage (65% above national average), San Jose (65% above), and San Francisco (49% above). Because of the high prices in these areas, 86 of the 112 metro areas being below the national average. The HCCI analysis also broke down the health care prices based on type of service: inpatient, outpatient, and professional. In Seattle, prices for all types of services were above the national average with outpatient one percent above, professional services nine percent above, and inpatient services 12 percent above. In Spokane, outpatient service prices were six percent below the national average, inpatient service were three percent above, and professional services were 12 percent above. The index also evaluated how quickly prices grew in these metro areas from 2012-2016. During this time period, the Seattle metro area’s health care prices grew 12 percent. The Spokane area prices grew 17 percent and the national average growth rate was 16 percent. The analysis was funded by the Robert Wood Johnson Foundation and is the first of a multi-part index series from HCCI. 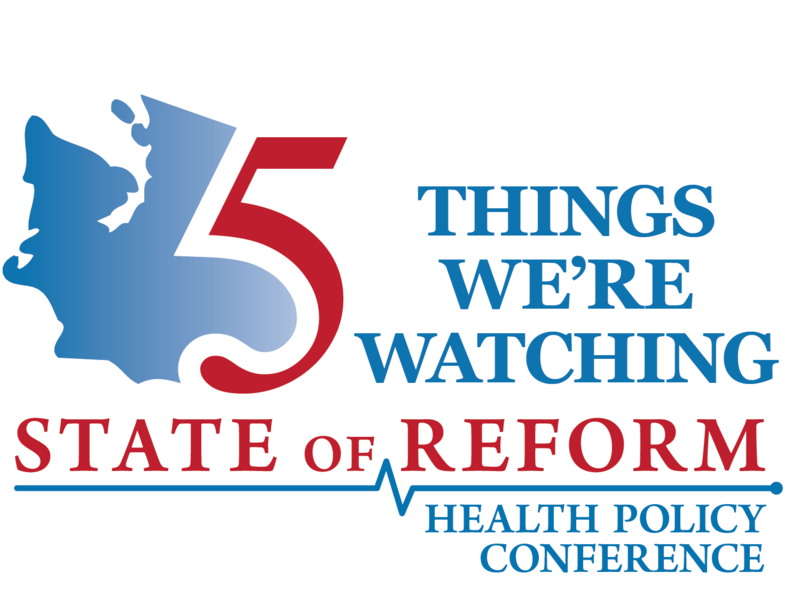 Future analyses will look into country wide variation in service use, total spending, waste, and provider competition.